Bloomologie creates luxuriously wild, show-stopping fine-art weddings, from our design studio in London. 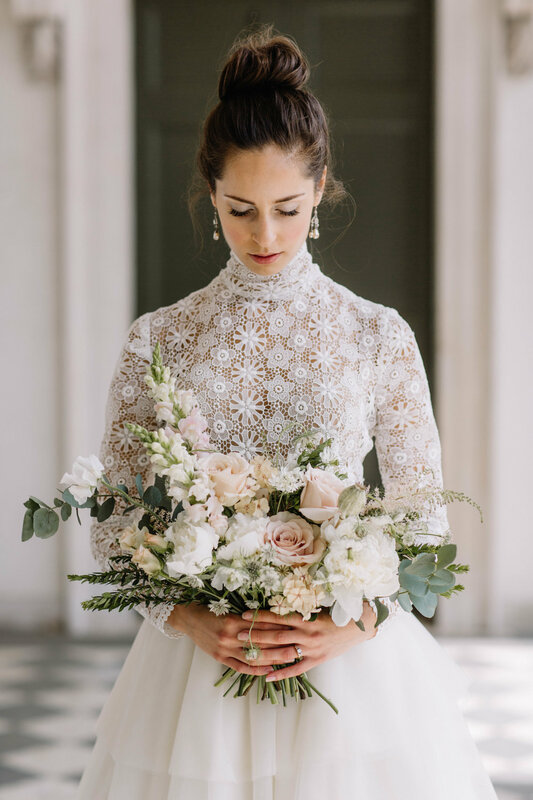 At Bloomologie we're obsessive about your wedding flowers, choosing the exact shades, tones and textures to complement your dress, your venue and your style, to make your flowers as unique as you are. We've travelled across counties to find the perfect foxglove, and even grown poppies from seed in order to get the precise shade that a bride was looking for. In fact, we grow lots of our own dahlias in order to achieve our signature, relaxed garden-gathered style. 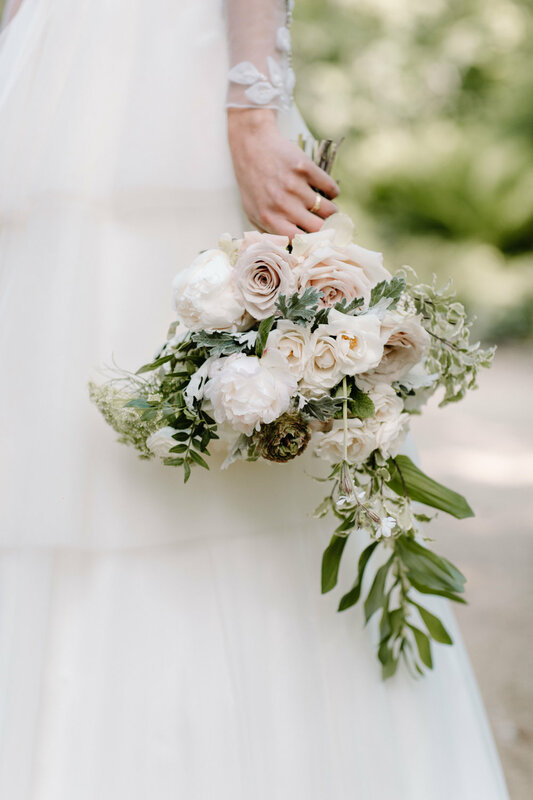 We take your wedding as seriously as you do, and will always meet you for a personal consultation to talk about your ideas, plans, colour schemes and even stationery - it all builds a picture of how you want your day to feel, the vibe for your flowers and the style. It's your event, and we always put you at the centre of it, that's why every wedding we do is bespoke and tailored just for you, from the flowers used, to the vases and vessels, installation ideas and ribbons. As each of our design schemes is entirely unique, and due to the wide range of flowers and foliage that we source, our full service wedding designs start at £2,500.